These Paint Centers are great for indoors or out. 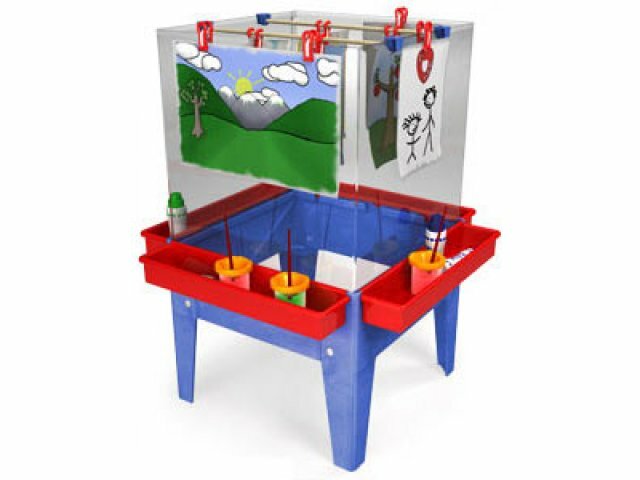 Comes complete with ChildBrite's exclusive Hanging Dowel Drying Rack with Super Caddies and Easel Clips. 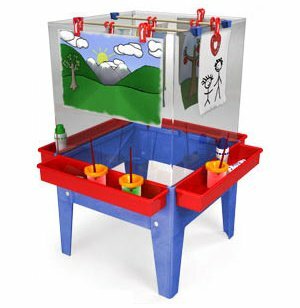 Made of high-impact resin with tough, clear-plastic easel cubes.